Dust off your old Reebok Pumps, because the basketball comedy Uncle Drew hits theaters on June 29. We’re already seeing Lionsgate’s impressive marketing campaign, which even features a PSA with Uncle Drew himself, where he speaks on behalf of the AARP. 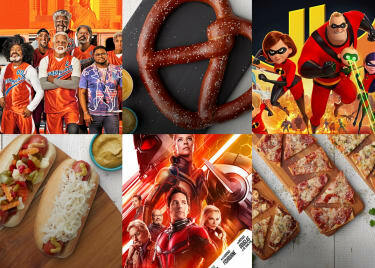 The big twist, however, is that Uncle Drew is actually based on a marketing campaign – the film’s title character is the alter-ego of Kyrie Irving, created for a Pepsi campaign. Maybe that’s why the character seems familiar. Don’t know the history of the concept? No problem! Here’s everything you need to know about Uncle Drew before it hits theaters. Pepsi introduced Uncle Drew in 2012 as part of a viral marketing campaign. The first video featuring the character was set up as a documentary following an up-and-coming street basketball player in New Jersey. During a pickup game, that player’s Uncle Drew, a seemingly-feeble older man, entered the game and something crazy happened. Uncle Drew completely dominated the court, leaving the crowd dumbfounded. We’d be struck silent, too, if some old man put the best players in the neighborhood to shame. But this guy isn’t as anonymous, or as old, as he seems. He’s NBA All-Star point guard Kyrie Irving in disguise. The YouTube video caught fire, racking up 50 million views. It spawned several follow-ups, and the character took on a life of his own. Now a viral sensation, Uncle Drew began doing interviews on ESPN and even began a quest to put together the perfect team. As popular as the character was, viral sensations are not known for longevity. Uncle Drew’s light shined bright from 2012 to 2013, but the basketball legend’s fame turned out to be a double-edged sword. Pepsi had successfully created a viral hit, but the novelty of the first video couldn’t be replicated once people knew who Uncle Drew was. Pepsi still utilized the character for commercials, but long before the film was announced Uncle Drew had all but faded into obscurity. Which is actually kind of a good starting point for the movie. So how does a 5-minute video become a feature film? Like any other movie, you start with a story. Uncle Drew’s Director, Charles Stone III (Mr. 3000; Drumline), and writer Jay Longino, came up with a solid and comic premise. 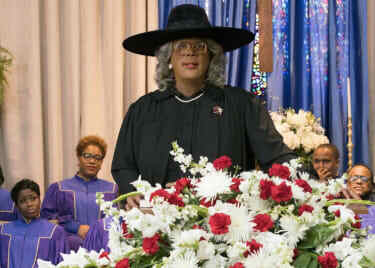 After losing his star player to a rival streetball manager, Dax (Lil Rel Howery) enlists the help of Uncle Drew. Together, they embark on a road trip to recruite other streetball legends for Dax’s team. Antics and hijinks ensue on their journey. From there, the film needed a great cast. Irving was in, and he anchors a team of legends in old-age makeup. Shaquille O’Neal is on hand to play Big Fella, Chris Webber shows up as Preacher, Reggie Miller is Lights, Nate Robinson plays Boots, and Lisa Leslie is Betty Lou. In addition, Nick Kroll plays Mookie, Dax’s rival, with Erica Ash and JB Smoove in supporting roles. 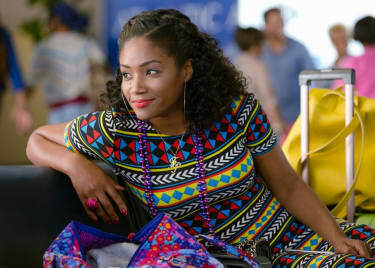 And this part is really important – as a 2018 comedy the cast wouldn’t be complete without Tiffany Haddish, who plays Jess. So we see the road trip element in the film’s trailers, which also show the cast at work. There are the sports rivalry and underdog elements we love, and plenty of footage of the ball players in action. 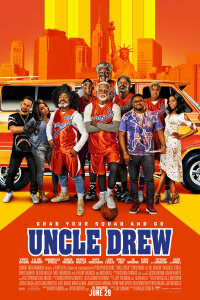 It really looks like Uncle Drew’s creative team put together familiar genre elements in a refreshing way. No matter how close it hews to its viral origins, Uncle Drew looks like nothing else coming to theaters this summer, and we’re excited for the comedy to hit the street.